Courtney Jenkins, a mail processing clerk for the United States Postal Service, was born and raised in Baltimore, a city torn apart and thrust into the national spotlight in 2015 for the tensest protests the city had seen since the assassination of the Rev. Dr. Martin Luther King, Jr.
Jenkins spoke about what he saw during the riots and their aftermath, and spoke from his own experience during the AFGE Women's and Fair Practices Departments' 3rd Diversity Week gathering in Washington, D.C. last week. While the national media searched for answers, Jenkins knew what lay beneath the unrest all along. He and his friends experienced firsthand how poverty, racism, and a lack of jobs and opportunities devastated his community. Students were set up for failure as schools were cash-strapped and didn’t have enough textbooks for every child. Teachers lacked the proper resources, making it difficult to educate. The resulting emotional trauma was a daily drum beat that left young people frustrated, hurt and without a path forward. Jenkins is one of the lucky ones. He has a good job at the post office and he's also found his purpose in life through his union. Like most young people, Jenkins initially had no idea what a labor union was. He was introduced to the American Postal Workers Union (APWU) only after he had problems at work and union brothers and sisters helped get it resolved. From that moment on, he wanted to know more about the union and started to get involved. Before he knew it, he was on his way to the 2010 APWU convention in Detroit, Michigan. Soon after, he became immersed in his local union. He served his colleagues as a shop steward, then represented them as a delegate, and eventually became the youngest elected officer to the APWU Local 181 executive board. Soon he was appointed to the AFL-CIO Young Workers Advisory Council where he began to play a critical role in securing a prosperous future for the people he cares most about. "Unions have shown me that equity isn't a dream, it is a reality." That hasn't stopped Jenkins from feeling, what he calls, 'survivor’s remorse.' He knows many of his friends would still be alive today had they found union fellowship sooner. He realizes the issues that communities across America are face are the same the labor movement faces and fight for. All workers — whether they are postal workers, firefighters, or TSA officers — are all a part of the same community. As a young worker, Jenkins is more committed than ever to fighting for civil and labor rights to help create opportunities for his peers and all workers. "There have been talks that millennials are going to change the world. But I've got news, we already are,” he said. Like Jenkins, millennials around the world are already making an impact in their communities. Social justice movements that fight for economic fairness, equal rights, racial justice, and the right for a workplace that treats its employees with dignity and respect – all have a strong presence of young people. Millennials not only have the passion needed to create change, but they know how to use technology to shine a light on the darkest corners of American culture and society. Social media has those who experience injustice daily to tell their stories, share common experiences, and mobilize together in solidarity. In order to achieve our country's founding purpose to “form a more perfect union,” “establish justice,” and “promote the general welfare," the labor movement must engage, prepare, and mobilize this new generation of Americans. “I believe young people are going to change the labor movement,” said Silvia Fabela, a member of the AFL-CIO Next Up program, as she addressed Diversity Week attendees. "At this year’s summit, we told them that it is our duty to win and we need them to be the change,” said AFGE National Vice President for Women and Fair Practices Augusta Thomas. "We focused on taking action, reaching people and making a difference. We focused on the urgency of this moment in history." "I think they heard us, and we’ve activated and energized over 100 young unionists," she added. "Those young folks were not only passionate to mobilize and lead within AFGE, but they were passionate to mobilize and lead within the greater labor movement, their communities, and this country." 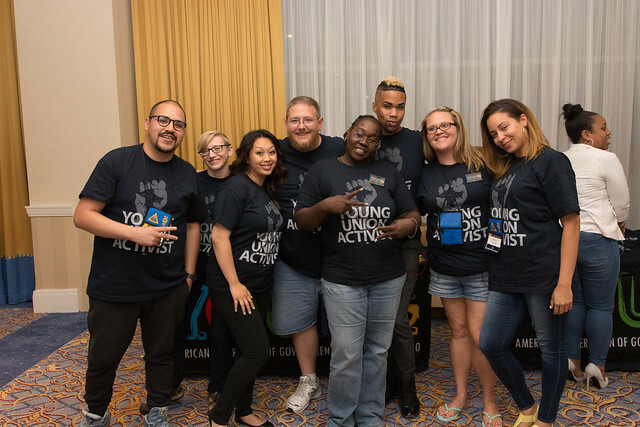 Years ago, AFGE recognized that it needed to organize young people in order to sustain the future of the labor movement. We created our Young Organizing Unionists for the Next Generation (Y.O.U.N.G.) program to raise awareness and mobilize young workers to make sure our movement thrives for generations to come. Although many AFGE locals are mobilizing young workers in their workplaces, many have not yet found a way to connect with fellow millennials. Some locals have reported that nearly half of their coworkers are under 40, further illustrating how critical it is that we empower young workers now. 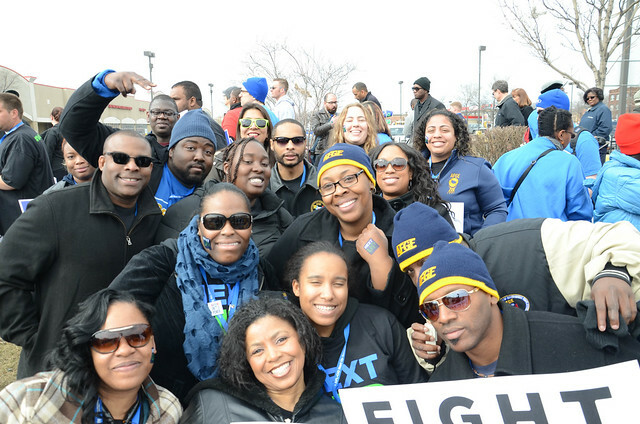 “Young workers aren’t just the future of the labor movement – they are the present,” said AFGE President J. David Cox Sr. Ask them to get involved. Young people want to be a part of the solution. After you recruit them, give them a task to do. Generally, young people want options on how to handle things. Instead of telling them you need to do this, say you can do this or this. Show them their options and let them choose based one your guidance. Give them information and options, not just orders. Make sure their voices are heard. Show them we encourage their participation and value their ideas by considering their opinions in the process. Given the opportunity, the young workers will live up to your expectations! If you are a young worker and want to make a difference in your community, join AFGE and join our Y.O.U.N.G. program. Over 40? Join our Y.O.U.N.G. program and become a mentor. For more information on AFGE and our other programs, visit www.afge.org.